As well as playing the upcoming 2-day events, I would strongly encourage you all to play the BEST 2019 event. It’s only £20 to enter which covers you the whole tournament and you will play at least two matches. Matches are played at an agreed venue between the players and the draw will be arranged to minimise travel. 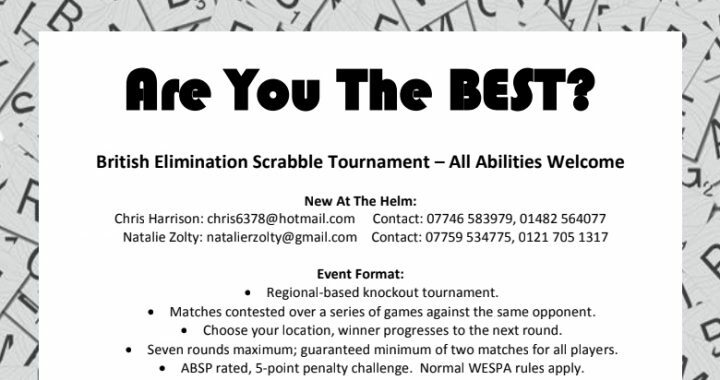 It is an event which provides excellent value for money and is a great way of playing more tournament games of Scrabble!